CEDAR CITY — Experience the public lands surrounding Cedar City like never before with Southern Utah University and Jacqualine Grant. Make your summer meaningful by helping restore lands damaged in the 2017 Brian Head fire. SUU Community Education is offering a summer course titled “Plants and Public Lands.” Participants will learn all about Utah’s native plants within the scenic landscapes in Southern Utah. “This is an amazing opportunity for our community to help our public lands while learning something new from an experienced professional,” said Suzette Beach, assistant director of SUU Community Education. The course will be offered in two different sessions, June 7-22 and July 30–Aug. 14, with one in-class presentation and five field trips each session. Course participants will also learn how to keep a field journal, the difference between native and non-native plant species, plant and flower identification, and will contribute to restoration efforts on the Dixie National Forest and the Bureau of Land Management that were heavily damaged in the Brian Head fire. Grant, an award-winning experiential educator and biology professor at SUU, will be instructing the course, as well as leading the field trips that include several short hikes. The course is open for children ages 12 and up. Chance encounters with bees that sleep in globemallows, and other pollinators, could occur. For more information on “Plants on Public Lands,” or any of the more than 30 courses being offered by SUU Community Education this summer, click here, email bewise@suu.edu or call 435-865-8259. 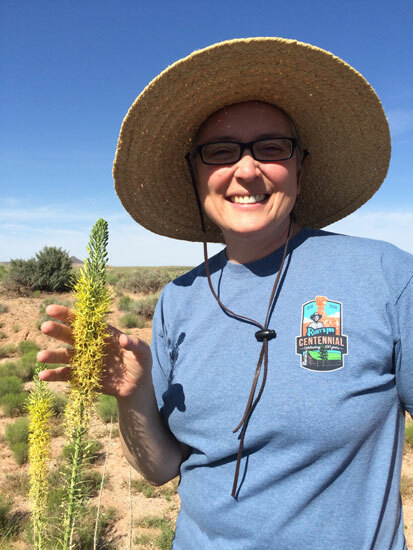 What: “Plants on Public Lands” community education course. When: June 7-22 and July 30–Aug. 14. Where: Field trips to areas affected by the Brian Head fire. Details: Open for children ages 12 and up. More info at the SUU Community Education website. Sure hope ol’ Bob Lyman is proud of himself. I wish St. G News would publish Lyman’s note about how it was everyone else’s fault but his and his REPUTATION is suffering. Boo-hoo. How about all the other people who suffered losing their cabins and his is still standing. The very fact that he is not in prison, is a joke. Must have a good bishop on his side.